Hit the trails in cozy style with Roo's Hooded Woodland Owl Dog Sweater by PetRageous Designs! 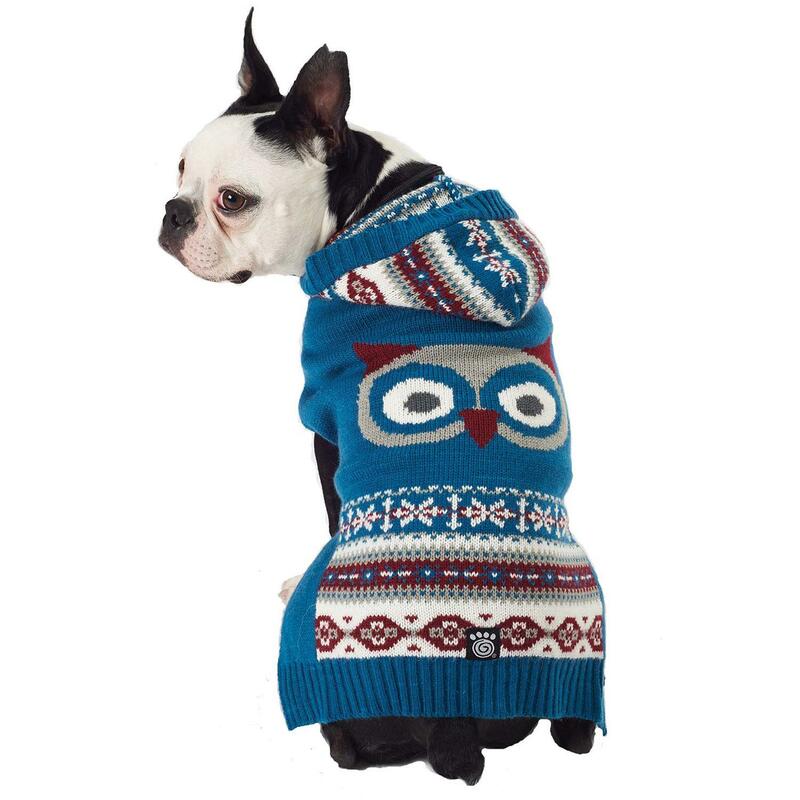 The Roo's Hooded Woodland Dog Sweater features a bold yet whimsical owl motif to create this trendy look with a traditional feel. The jacquard design looks stunning in a hoodie style dog sweater with the square hem European cut that allows for a smoother fit with less bulk near the hind legs while keeping your pup clean and dry during potty breaks. Made of 100% super soft acrylic yarn. Machine wash on cold and tumble dry on low. Posted On 03/24/19 by Amanda T from , Yes, Amanda T recommends this product! The Owl sweater Fits my doxie great! Easy to use, and best pricing around.